MUMBAI: Pogo, the second kids’ channel from Turner, has announced a new line up for the weekend. 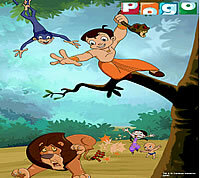 A fresh series of Chota Bheem will start airing on Pogo from 6 July. In the new episodes, to be aired every Sunday at 9:30 am, "mighty little Bheem" and his friends will take on new adventures and escapades. Together they will go on a treasure hunt, and save the kidnapped princess of Dholakpur. He will also save the villagers of Dholakpur from a Crocodile’s attack. Pogo will also showcase the animated series of Spectacular Spiderman during the weekends. The series will air every Saturday and Sunday at 5 pm. 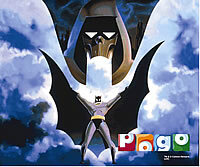 The channel will air Batman: Man of the Phantasm in the weekend movie slot on 12 July at 2 pm while The Hulk will be aired on 13 July at 2 pm.